Bill Simon, Jr. is co-chairman of William E. Simon & Sons, an investment firm which he co-founded in 1988 with his brother and their father, William E. Simon, Sr., former U.S. Secretary of the Treasury. Bill also serves as co-chairman of the William E. Simon Foundation and the Cynthia L. and William E. Simon, Jr. Foundation. Through these foundations, Bill helps needy youngsters, adults and families in urban areas through faith-based efforts. A strong proponent of physical fitness, Bill is chairman of the National Urban Squash and Education Association as well as founder, with his wife Cindy, of the Sound Body Sound Mind Fitness Program for high schools and middle schools. 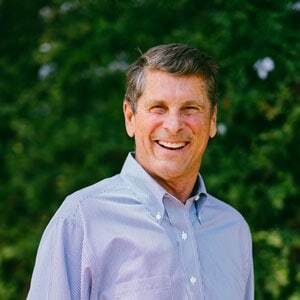 Bill has served on many charitable boards, including Covenant House California, of which he is chairman emeritus, and the St. John’s Health Center Foundation in Los Angeles. A graduate of Williams College, where he is trustee emeritus, and Boston College Law School, Bill has a strong interest in education. He is a visiting professor in both the Law School and the Economics Department at UCLA.